You look into the mirror and notice that fine lines have slyly emerged around your eyes. You could swear they were not there the last time you checked! Yes, aging can come to us furtively and then progress at a terrifying rate. It is natural for most of us to be quite intimidated with the process. The advent of state of the art cosmetic surgery procedures and the way media has publicized their amazing results have stimulated the people’s desire to delay the aging process for as long as possible. News and photos of famous celebrities approaching the golden age but are still looking as if they are 2 decades younger add up to the pressure of staying young. Perhaps, the best approach towards aging is not aiming to stay young eternally, but to grow old beautifully. For those who are not comfortable of going under the knife, you can adopt natural ways to postpone the onset of aging. Your diet is a good place to start. The choices you make in what you consume play a very vital role. 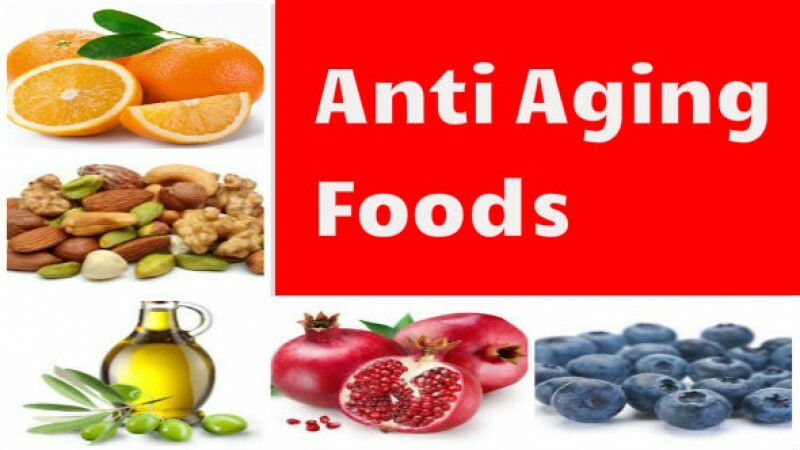 Scientific studies show that a diet rich in antioxidants and are anti-inflammatory can reverse the changes brought about by the aging process. Incorporating these foods into your daily menu can enhance your health and retard aging. Fruits and vegetables are abundantly rich in antioxidants. Enjoy at least 5 servings a day of varied colorful produce to enjoy the maximum health benefits. Fish is a rich source of omega-3. It is a potent anti-inflammatory food that provides you with a various health benefits, and is best when eaten twice weekly. Whole grains contain phytonutrients equal to any vegetable of fruit. Phytonutrients are compounds found in plants that can protect human beings from diseases. These wholesome grains also provide you with soluble fiber which helps to lower your blood cholesterol. Make an effort to consume at least 3 servings daily. Nuts help maintain your skin’s structure and maintain its resilience. The healthy fats in nuts promote the elastin and collagen in the skin. However, nuts have high calorie content so consume it in small portions. Legumes are jam-packed with the same nutrients that fruits and vegetables offer, and they have very few calories. Adding them to your diet 3 to 4 times a week would be very beneficial. Yogurt contains all the goodness you can get from dairy products. An added bonus is that it has probiotics. These are live microorganisms that inhibit the growth of harmful bacteria and boost the immune system. Make yogurt one of your 3 servings of dairy per day. Water is necessary to keep the skin, muscles, and all organs in the body hydrated. Therefore, drink at least 3 to 4 glasses of pure water along with the other liquids and watery foods in your diet. In addition to the list above, you may also include 10 “super-foods” that are anti-inflammatory: sprouts, acai fruit, green foods, allium vegetables, buckwheat, hot peppers, yogurt and kefir, nuts and seeds, beans and lentils, and barley.